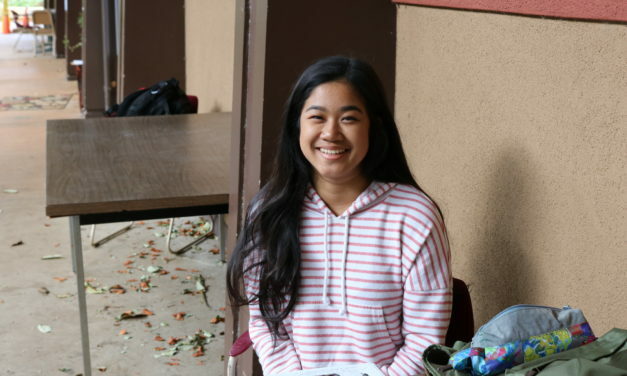 Shayne Shintani is a 20-year-old Secondary Language Teaching major here at KCC. 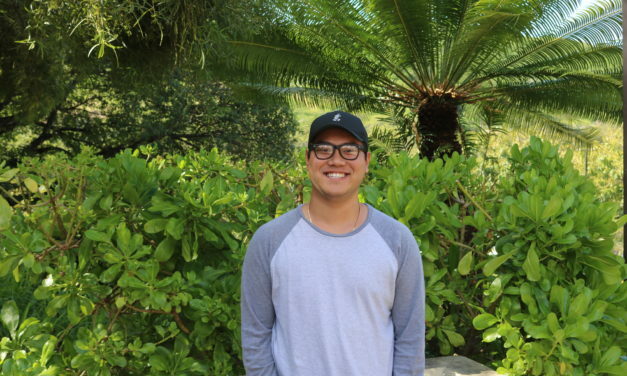 As a native from Kailua, Shintani is in his third year of college. 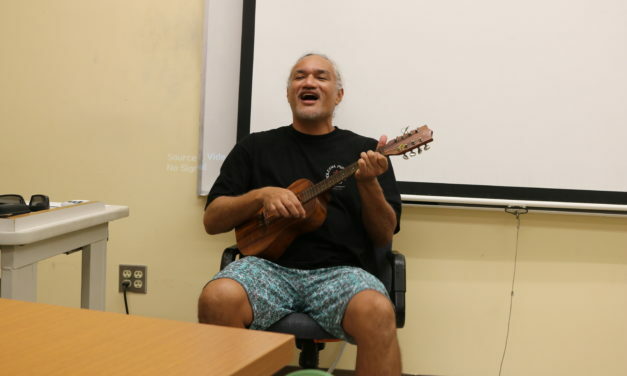 He wants to graduate from KCC with an associate’s degree and then transfer into UH Mānoa. With his degree, Shintani hopes to teach English to foreigners who have recently moved into Hawaiʻi, especially people from Japan. 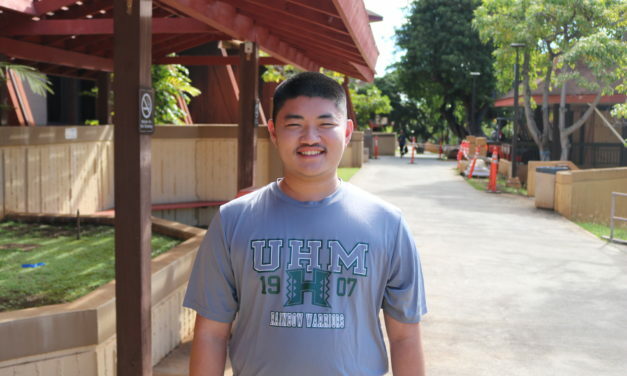 He also wants to become a professor’s assistant for a school in Japan or at UH Mānoa for the Second Language Studies Department. Shintani has taken five years of Japanese language in school, and is now in his first semester of American Sign Language (ASL). 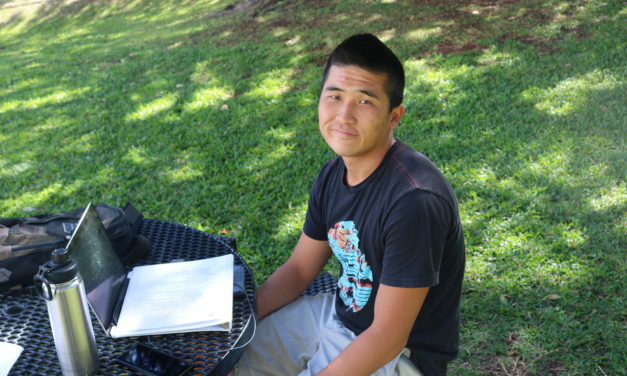 Matthew Yoshikawa is a 22-year-old student at both KCC and HCC. As a native of Hawaiʻi Kai, Yoshikawa is majoring in the Fire Program over at his home campus, HCC. As a fourth year student, Yoshikawa hopes to receive an associate degree from the Fire Program so that he can become a future firefighter, a job that he said he has always wanted to go into. Along with wanting to become a firefighter, Yoshikawa is also majoring in Botany here at KCC. “I took a couple of classes for Botany to see what it was like, and I liked it,” he said. Yoshikawa’s love for Botany stems from his likable and passionate instructor, Mike Ross. 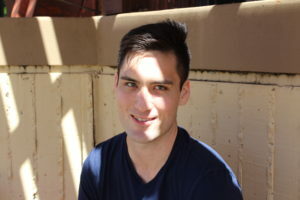 Elliot Dixon is a first-year student attending KCC. Having already received a Bachelor of Arts in Political Science, the 27-year-old is now back in school taking pre-requisites for medical school. In Fall 2017, Dixon was attending LCC taking pre-requisites for pre-medical courses but chose to transfer to KCC after moving into Waikīkī. Dixon has found KCC's campus to be nicer and that it carries a stress-relieving environment for him to step into. Looking to attend KCC for the next school year, Dixon interests for biology and chemistry is helping him in determining which classes he wants to enroll in. In the future, Dixon hopes to become a practicing physician such as a psychiatrist or neurologist.